Campaigners have called on ministers to ‘get serious’ about the country’s housing crisis after a government report revealed private renters in England spend almost half their income on rent. Housing charity Shelter said on Friday that private renters are being forced to carry the burden of the nation’s “dramatic” housing shortage. Tenants across England spend an average of 47 percent of their after-tax income on rent, according to the annual English Housing Survey published in February. In London this figure is even higher, with people spending an average of 73 percent of their pre-tax income on rent. Shelter’s Director of Communications, Policy and Campaigns Roger Harding said the findings demonstrate how an entire generation is being forced to pay expensive rents. “As these new figures starkly show, private renters are bearing the brunt of our dramatic housing shortage,” he told RT on Friday. Observers warn the result is an entire generation forced to give up hope of a stable future, and resign themselves to a life-time of expensive rents. Harding called on the government to take action in its autumn spending review, which determines how much cash Westminster channels into each government department. “To truly get to grips with our housing shortage, investment in genuinely affordable homes is absolutely vital. The autumn spending review is this government’s last chance to prove they’re serious about turning the housing crisis around,” he said. The latest English Housing Survey, published by the Department for Communities and Local Government, was based on research conducted in 2013-2014. 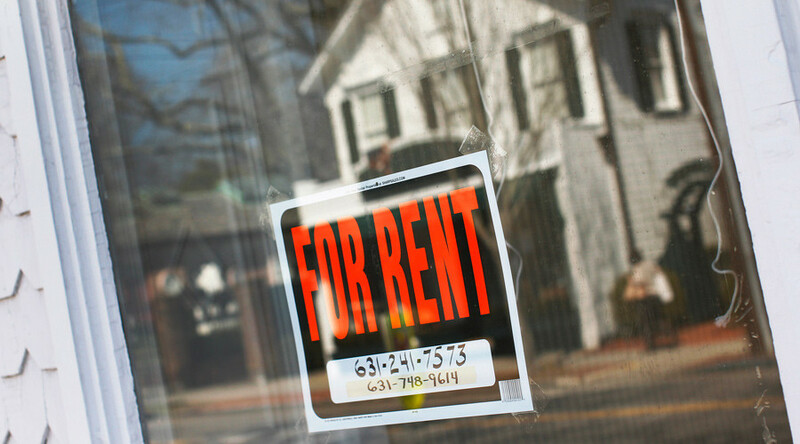 It found private renters in England faced costs that were on average 52 percent of their pre-tax earnings. This marks a 4 percent increase from the 48 percent figure recorded in 2003. Tenants in London experienced even higher rents, with people spending an average of 72 of their pre-tax income on accommodation. Those on housing benefit faced costs equal to 60 percent of their gross earnings. Among people aged 16 to 24, rental costs made up a massive 88 percent of income without benefit payments and 81 percent when it was included. In a press release, Shelter said the survey’s findings demonstrate how it is becoming increasingly difficult for young people to save for a house. “The English Housing Survey highlights how – with ever-rising rents – saving for a home of their own is almost impossible for many. The proportion of 25-34 year old who own their own home has fallen dramatically from 59 percent just 36 percent over the past decade,” the housing charity said. Politicians in London should to more about the rent prices - heard a story about someone earning 20k having to pay £900/m in NEW CROSS! The damning comments come months after a consortium of housing charities called Just Fair published a report arguing England’s housing crisis is a breach of international human rights law. Published in April, the ‘Protecting the Right to Housing in England: A Context of Crisis’ report said that as a signatory to the International Covenant on Economic, Social and Cultural Rights, the UK has a legal obligation to provide an adequate standard of living. “For one third of those living in private rental accommodation, life is lived in unsafe and unhealthy conditions below the basic minimum considered adequate in England,” the report’s author, law lecturer Jessie Hohmann of Queen Mary University, said.